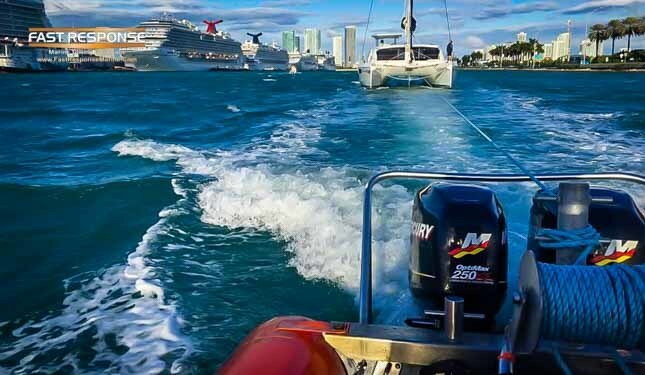 On February 7, 2016, Fast Response Unit 5 with Captain David Correa responded to assist a 48′ sailing catamaran disabled by a rudder malfunction. The safest route was through the Cruise Ship Channel, but there was a problem. The channel is closed to traffic when two or more cruise ships are in port. Captain David was able to obtain a special clearance through the channel to tow the catamaran and its anxious crew safely back to port.